Hello my lovelies! Hope your week is not too stressful! I decided it was time for some wintery nail art so today I'm showing you a manicure I did before the holidays. I've been searching for the perfect dark green for a while, one that isn't too dark and still looks green rather than black on the nails. I finally found it last month in the Kiko store and couldn't leave without it. It's a beauty! No wonder Kiko 347 is also called Dark Green because it's just that: the perfect dark green. It's a dusty shade of forest green that doesn't look black on the nails. The formula is also great, like with all Kiko cremes. Two effortless coats make it opaque and lovely. It dries fast and shiny. 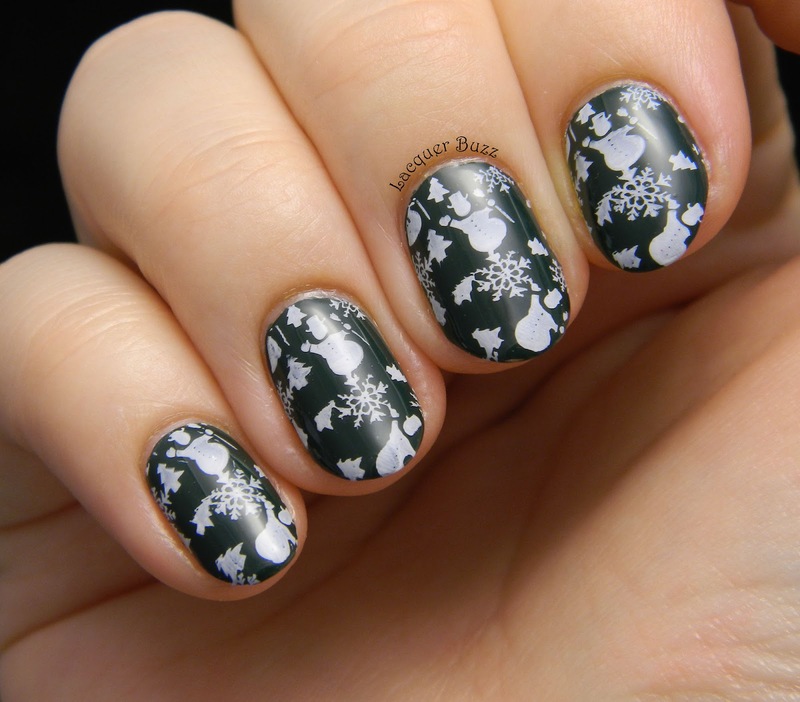 I wanted to add some wintery nail art over this, so I stamped the snowmen image from plate QA66 on top. This image also has trees and snowflakes, just perfect for winter. I used Konad White for the stamping. I very much enjoyed these nails. The contrast between green and white, as well as the cute pattern make them adorable. What do you think?